Planning Analytics is the latest improvement in the IBM TM1 series. New capabilities for planning, budgeting, forecasting, and analysis make this a faster, leaner, more powerful business tool. And with thousands of successful projects over two decades, our IBM Partner team is best placed to support the transition to Planning Analytics. That’s why we’re promoting our services through a dedicated IBM Planning Analytics website. IBM has listened to customer feedback and introduced some key new features in Planning Analytics. One major development is the new Workspace interface. Make it easier for your team to perform reporting, analysis, and write-back, while navigating multi-dimensional cubes and sharing results with others. Enjoy the intuitive interface on your tablet while on the move. And with 25 different images, charts, maps, and scorecards, there’s never been a more compelling way to share your data. Excel users will be thrilled at the IBM Planning Analytics for Microsoft Excel add-on. This successor to IBM Cognos Analysis for Microsoft Excel (CAFE) gives improved performance over wide-area networks and is naturally integrated with Workspace. In terms of analysis, Planning Analytics allows access to data points you could never have reached before. The “hierarchies” capability goes beyond the usual definition of cubes. Explore data with attributes such as customer, product, sales program, and more. And everyone in your company will be pleased to hear that Planning Analytics is automatically compliant with the EU’s General Data Protection Regulation (GDPR). Formerly IBM Cognos Express, the IBM Planning Analytics Express format is ideal for small businesses or teams. Use the full features of Planning Analytics, at the right size and for an affordable price. Planning Analytics supports the full range of deployment options, from on-premise to cloud and hybrid. This means the highest flexibility for your business. With on-premise deployment, your organisation can meet its in-house policies easily. The cloud deployment option means faster entry at a lower initial cost. Hybrid deployment can be the best of both worlds, giving control where you need it alongside the benefits of cloud. Our team has been serving UK businesses with IBM and Cognos solutions for over 25 years. To find out more about our custom partner services, feel free to visit our dedicated IBM Planning Analytics website. IBM® Planning Analytics, the 2018 release of Cognos TM1, automates your planning, budgeting, forecasting and analysis processes into a single platform. Harness the predictive powers of IBM Planning Analytics and aligns your business cloud/on-premise/hybrid hosting strategies. IBM® Planning Analytics can bring predictive powers to your organisation. Planning Analytics offers a comprehensive solution to formulating planning models and generating analytics from the results, constructed on a powerful analytical processing engine that is both in-memory and online. The IBM Cognos TM1 enterprise planning platform is the foundation, and the planning tool is being used by a growing number of organisations around the world. Through its multidimensional technology, businesses can create complex models easily, and perform analyses of profitability to identify the customers, products and sales channels that are generating the most profit. Hierarchy capabilities that facilitate the modelling of specific attributes of hierarchies, enabling advanced granular analysis and simple administration and maintenance of any planning models you devise. Improvements to the interactive analytics workspace, wherein you can design compelling visualisations and custom dashboards. 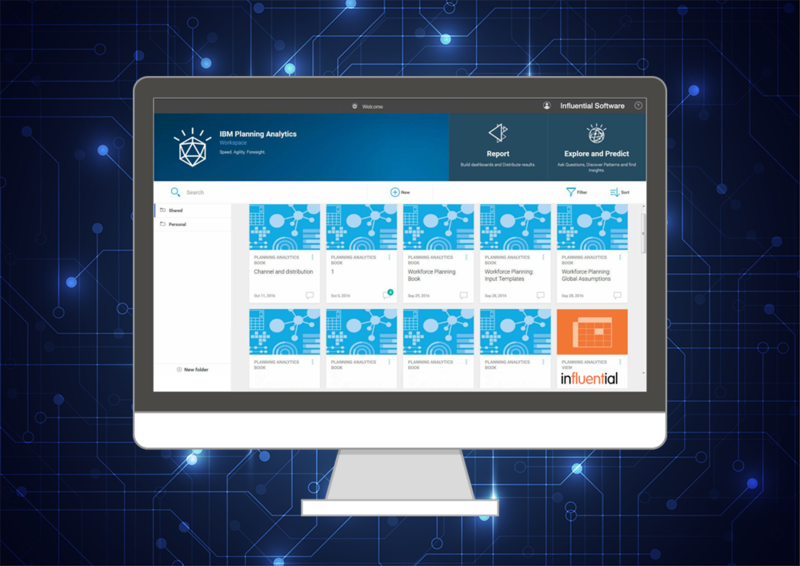 IBM Planning Analytics enables you to take advantage of the data analysis and predictive powers and functionality of IBM Watson Analytics. With these powerful tools implemented in your planning process, you can generate automatic predictive insights from the software’s analysis of internal and external information. 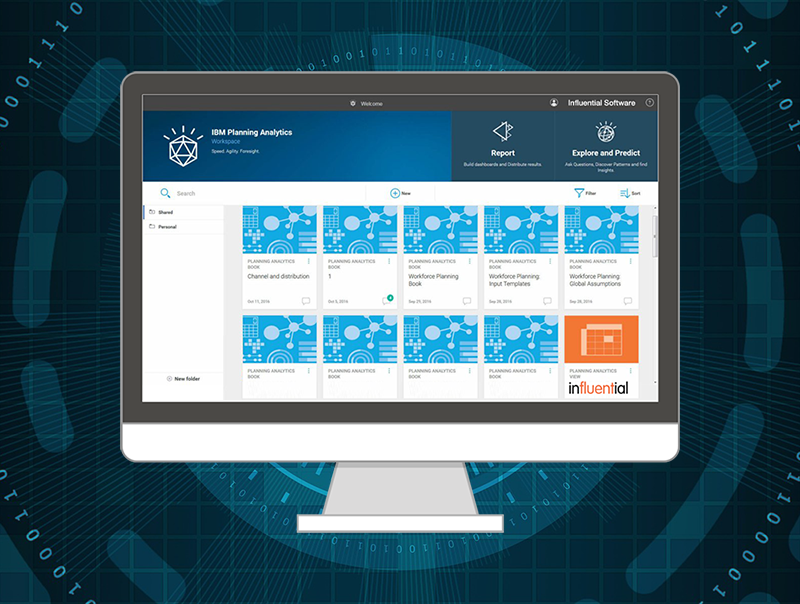 The first tools for planning and analysis did little more than automate processes that would otherwise be undertaken manually, but IBM Planning Analytics takes the process a few steps further than that. 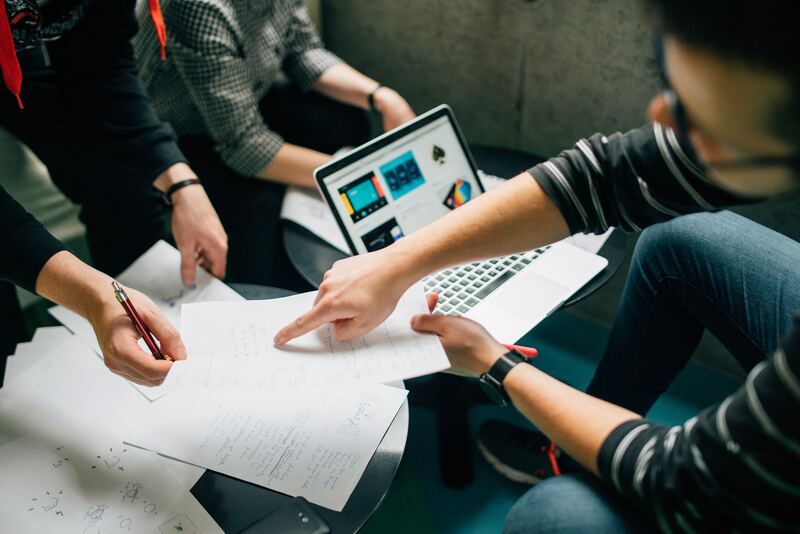 Through complex agile planning and exploratory analytics processes, you can actively drive your business forward in the way you want things to be done. Influential Software has been working for over 25 years with businesses of all sizes to create tailored software solutions that help to grow and increase profitability. Our passion is for technology, and our commitment is to quality, so we only deal with the best software solutions available on the market. If you would like to know more about how IBM Planning Analytics could be implemented in your business, please feel free to contact us and we can arrange a consultation to discuss your needs and the power of the software we offer.